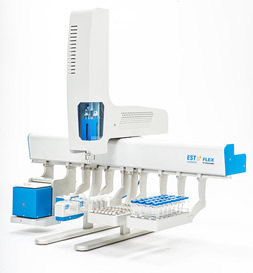 The Flex Robotic Sampling Platform was designed to empower chemists who are being asked to do more with less. Robotic platforms have been around for years, but the ability to take advantage of the complete capability of the platform has been limited due to the difficulty in programming. The Flex offers a new user interface that is intuitive and simple to use. Complex routines such as internal standard addition, solvent addition or agitation for extraction are accomplished through our drag-and drop interface that makes even the most difficult routines simple to perform. The Flex offers a wide range of capabilities, but none is as important as its precision and accuracy during liquid injections and sample preparation. All steps and speeds in the process are programmable. Viscous samples can be handled by slowing plunger speeds and needle discrimination can be decreased on high molecular weight samples with hot needle injections. All parameters are easily programmable using our innovative drag-and-drop FlexOP control software. One of the key design concepts of the Flex Robotic Sampling Platform was to open the true power of a XYZ system to the chemist. Robotic platforms can only be utilized to their full potential if the user can program their complex routine themselves. The power of our innovative Method Development software is demonstrated in its ability to perform complex sampler preparation routines. Mixing, heating, addition of standards or solvent, derivatisation agents with wait times and multiple syringe rinses can all easily be programmed. Many customers choose to utilize the Flex on a bench top, without being mounted on a GC, to simply take advantage of its ability to reliably perform automated sample preparation. The key to success in headspace analysis is precise temperature control. Very small variations in temperature can change results by more than 10%. The precise temperature control offered by the Flex incubator station eliminates this variable. The Flex design also eliminates valves and transfer lines found on other systems which can cause high carryover, discrimination and degradation of thermally- labile compounds. With fewer parameters to control, method development and troubleshooting are simplified. EST Analytical offers a wide range of application notes from various industries using headspace analysis. SPME has become one of the most powerful tools used by chromatographers over the past decade. With a wide variety of phases available, samples can be selectively enriched to provide more sensitivity while reducing unwanted compounds. On the Flex platform, the entire process from sample incubation, extraction and desorption is controlled through an easy-to-use SPME Method Development dropdown within the FlexOp control software. During the extraction process, the SPME fiber is traditionally exposed to the sample while in the sample incubator. At the same time, the incubator is set to move in an orbital rotation to decrease extraction time. This orbital rotation can, over time, cause damage to the fiber. Through the FlexOp control software, the user can choose to move the incubator in an oscillating movement instead of orbital movement which dramatically reduces stress on the fiber and extends fiber lifetime. During setup, with the FlexOp software, trays and other devices are dragged and placed onto the rail. Each device can be calibrated using a simple calibration wizard. Once calibrated, the devices can be moved on the rail. A built-in light sensor searches for a white block on each device and updates the device�s new location and calibration. Once configuration is complete, the Flex can be given a specific name and added to the devices on the network where all Flex systems can be seen. From the Run Status screen, a complete overview of the system is possible. Temperature set points and actuals, sequence status, method parameters and time left in each step of the method are displayed. Syringes can be easily exchanged using the built in syringe wizard. Items are colour coded for ease of use. 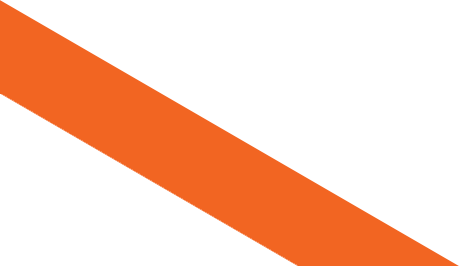 If a step in the method is currently being performed, it is highlighted in orange. If a sample is in the incubator, that line of the sequence is highlighted in yellow. This simple interface makes it easy for any user to see the system status with a glance. Step in the method is displayed with the time left to complete each step. This is the key element that enables chemists to do and get more from their autosampler. Once the user chooses LIQUID, HEADSPACE or SPME, a set of icons or tiles the autosampler can perform appears. Simply click and drag the tile over to create a list of tasks for the system to follow. Once the tasks are moved, the user can go back and click on each tile to program its details. For instance, RINSE would include which rinse station, vial position, syringe speeds, etc. Simply choose a tray, vial position, and method. Highlight the number of rows and click auto increment and your sequence is complete. If you are using Chemstation or Open Lab, you can choose to add your GC/MS or GC method and data file name, save the sequence and export it where it can be run by Chemstation. One sequence can be created with just a few mouse clicks.